This imposing temple represents a fine blend of Kerala and Karnataka architecture. Situated near Kanhangad in Hosdurg, this temple is dedicated to Bhadrakali, the fierce form of Goddess. The Bhutha Dance is performed during the festival in May-June and December - January. This is the only lake temple in Kerala. Situated in Kumbala, this is believed to be the original seat of Lord Ananthapadmanabha. This temple has Sanskrit inscriptions written in the Kannada script which has been ascribed to the Chalukya King Kirthi Varma II. It is one of the first ten mosques to be built in India after the advent of Malik Mohammed Dinar who propagated Islam in India. His mortal remains are buried near this mosque. The annual festival of Uroose is popular. The temple here, built in 1963 resembles the Somnath temple in Gujarat. A life-size panchaloha statue of Swami Nityananda is the star attraction. This was founded in 1931 by Swamy Ramdas and Mother Krishna Bhai known as Pappa and Mathaji to devotees. This spiritual centre is said to offer all kind of facilities for the spiritual regeneration. A sacred place of the Vaishnava cult, the deity here is Sree Krishna. The fortnight festival begins on 22nd Kumbham (February - March). Another temple dedicated to Sree Balarama, brother of Lord Krishna is at Mazhoor, Thrichambaram. On the first day, the idol of Balarama is taken out in procession from Mazhoor temple and brought to the Thrichambaram temple. The procession marks the beginning of the festival, on the last day of which the idols of Sree Krishna and Balarama are taken out ceremoniously. The festivities end with Lord Krishna retreating to His abode that is Thrichambaram temple, while his brother Balarama returns to Dharmakulangara temple. The procession in this festival is sans elephants. The significant feature of this temple is the daily performance of Theyyam, the ritualistic art form of Kerala. The presiding deity is Muthappan, a manifestation of Lord Shiva in the guise of a kiratha (hunter). This is perhaps the only temple dedicated to Sugreeva, the deposed monkey-king who helped Lord Rama in the encounter with Ravana. This was built by Malik Ibn Dinar in the 12th century, with white marble brought from Arabia. Lying in the deep forests, these temples are famed for the annual festival which starts with Neyyattom on Swati asterism in May-June and ends with Thirukalasattu after 28 days. Glass Temple of Kottamunda (20 km from Kalpettta) Located on the slope of Vellarimala, this is dedicated to Parswanatha Swami, third Thirthankara of the Jain faith. The mirrors inside the temple walls reflect the image of the icons in the temple sanctum. This temple is more than 800 years old and has a beautiful image of Lord Ganapathi. This temple is dedicated to Sita Devi and her sons, Luv and Kush. The three-day festival known as Thira Ulsavam, features Theyyam and Paniyarkali. Dedicated to Bhadrakali, this temple finds mention in the Northern Ballads (Vadakkan Pattukal). Thacholi Othenan, the legendary hero of Kalaripayattu, Kerala's martial art form used to worship the deity here. The offering of Erattti­payasam is said to please the Goddess here. This temple was once famous for its vazhipaadu (offering) of breaking ten thousand coconuts overnight by a single person. The idol of this war-god is in the form of a mirror. Associated with the Zamorins of Calicut, this temple is the venue for the famous Sanskrit discourse, Revathy Pattathallam. Built in the Roman architectural style, this church dates back to 1513 AD and is only one of its kind in Kerala. It houses a portrait of St. Mary, believed to be 200 years old. This is an important pilgrim centre for the Muslims of Kerala. The annual Nercha festival of the mosque is celebrated for four days in April. Adjoining the mosque is a mausoleum of the Malappuram Shaheeds whose brave exploits have been immortalized in Mappilla Ballads. Kondotti is a prominent pilgrim centre for Muslims. The Valia Nercha festival at the 500- year old Pazhayangadi Mosque, celebrated for five days in February-March, draws a large number of devotees. While the focus of the Nercha here is the reverence shown to Shaykh Muhammad Shah, *e founder of the Kondotti Thangals, the ceremonial rituals are derived from the worship of folk deities of Kerala. During the special ceremony of the Kondotti cannon, the cannons that are kept in the Kondotti Police Station are taken out to a road near the mosque, charged with powder and ignited. These cannons are believed to have special sanctity and an important offering during the festival is oil for them. The oil that is left over after cleaning of these cannons is believed to have curative powers. 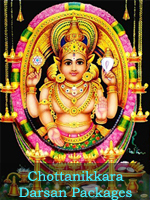 Dedicated to Kiraatha Parvathi, this is one of the most sacred Shakthi centres in Kerala. The uniqueness of the temple here is the absence of idols. Pooja is performed at a hole (about 6 cm in diameter) in the earth where the Goddess is said to have disappeared after showing her presence to Adi Sankaracharya. Poomootal i.e. offering flowers of thecchi (Ixora indica) to the hole is the important vazhipaadu . Matturakkal is another vazhipaadu that involves breaking of coconuts, the purpose of which is to remove the obstacles faced in day-to-day life. Dedicated to Bhadrakaali, this is one of the ancient and renowned temples in Kerala. According to legends, King Mandhatha of Soorya dynasty, after tough meditation received from Shiva, the l illga worshipped by Parvathi. On his downward journey from Kailash he kept down the l illga at Thirumandhankunnu where it got fixed to the earth. 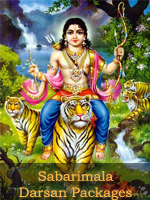 The Shivalillgam in the Sreemoolasthanam here is split into two. This is attributed to the fight that took place between Mandhatha and Kali, who was ordered by Parvathi to get back her precious linga . Parvathi, who could not bear a separation from the linga is said to have entered it, instructing Mandhatha to install Kali near her on whose name all the pooja and festivals were to be conducted. An important custom of this festival is the arrival of Vellathiri to give audience to the Malayanlkutty, the headman of the Palla tribal community. Kalampattu is an important vazhipaadu here and is perhaps one of the longest to be performed, starting from first Vrishichikam to the end of Memam. Mallgalya pooja, Rigveda LakJharchalla and Challdattam are some of the other important poojas. Thirunavaya, on the banks of the River Bharathapuzha, said to be the traditional headquarters of the mythical Brahmin hero, Parasurama, is a place of historical and religious significance. Thousands flock here on karkidaka vavu Day to perform the pithrukriya rites for the departed souls. The Navamukunda temple is said to be the sacred spot blessed with the presence of Saraswathi , Gayathri, Lakshmi, Parvathy, Shami, Ganga, and Yamuna. Vettakkorumakan Temple, Nilambur (36 km from Malappuram) The Nilambur Pattu festival that is held here every year is a unique event, marked by the participation of tribal. It starts with Kodiydtam, the hoisting of the festival flag brought by the tribes from the forest, who are warmly received by the royal family. The festival reaches a climax on Dhanu 23 with the singing of hymns in praise of the temple's presiding deity, Vettakkorumakan by the members of the Nilambur royal family, as well as the tribes. This temple is maintained by the Nilambur Kovilakam. This is the birth- place of Thunchath Ezhuthachan, the father of Malayalam language and the hallowed ground where children are initiated into the world of alphabets. On Vijayadasami day, people from different places come here for Vidyaramoham, the ceremony in which children are initiated into learning. The iron stylus with which Ezhuthachan wrote on palm leaves and the ancient kanjira tree (Nux vomica) under which he taught his disciples and composed his poems, are treasured exhibits here. Unlike the fruits of kanjira trees found elsewhere, the fruit of this tree is not bitter. The memorial also boasts of granite Sarawathi mandapam and a library with rare manuscripts. This is the house of Poonthanam Namboothiri, a great exponent of the Krishna cult of the Bhakthi Movement, known for his work Jnanapana(song of knowledge). In February every year, the ill am hosts the Poonthanam literary festival coinciding with the poet's birthday. The illam and the family temple are being turned into a memorial. The site of the home of Melpatthur Narayana Bhattathiri, renowned poet and author of Narayaneeyam is situated on the northern side of the Bharathapuzha about 2 miles away from the Thirunavaya Temple. Located atop a hill, this temple is dedicated to Lord Rama. The Punarjani Noozhal (crawling through the Punarjani cave) is an important ritual. Punarjani is a narrow cave believed to have been built by Viswakarma, the legendary creator of Kerala and on an auspicious day devotee’s crawl through the half kilometer cave to get rid of their sins. The six- day annual festival here honoring Chembai Vaidyanatha Bhagavathar features Carnatic music concerts by veteran musicians. Sree Viswanatha Temple, Kalpathy (3 km from Palakkad) Built in 1425 on the lines of the temple at Benaras, this temple is famous for the Chariot festival held every November. The deity here is believed to be one of the members of the legendary family, Paratcbi Petta Palltbeerukulam (the clan of twelve given birth by Paratcbi, an aboriginal woman). Kalamezhuthupattu is a special feature during the seven-day annual festival. One of the few existing Jain temples in Kerala is the Jain temple at Jainamedu in the Vadakkanthara village on the Western border. With granite walls devoid of any decorations, this temple comprises four divisions and is 32 feet high and 20 feet wide. Legend has it that the temple was built about 500 years ago by a Jain head named Inchanna Satur for the Jain sage, Chandranatha Swamy. At a Jain house here, renowned poet, Kumaranasan wrote the monumental poem, Veenapoovu (the fallen flower). Mortal remains of Uthman Auliya, a revered man in Muslim Communities are entombed here. Prayers are held in this mosque on Fridays. Annual festival is held in January February. During the festival a grand procession bringing ceremoniously various articles such as rice, coconut, etc to the mosque as offerings is held. A grand feast is held for the poor, the next day. This was founded by Thunchath Ezhuthachan. The Samadhi (final resting-place) of Ezhuthachan is also located in this village on the banks of River Bharathapuzha. This is a classic example of the Kerala's traditional architecture. Holy shrines of Paramashiva, Parvathy, Sankaranarayana, Ganapathy, Sree Rama and Sree Krishna are housed here. The central shrines and Koothambalam exhibit exquisite vignettes carved in wood. 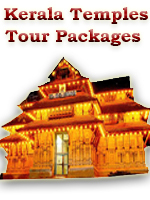 This temple is the site for the famous Thrissur Pooram. The main vazhipaad (offering) here is ghee. Guruvayoor, known as Kasi of the South is famous for the Sree Krishna temple which has Guruvayoorappan or the infant Krishna, as the deity. Legend has it that the temple is the creation of Guru, the preceptor of the Gods and Vayu, the God of winds. The most famous offering of the temple is Thulabharam, where a devotee presents to the deity his own body weight against products like bananas, rice etc. The Vishnu's idol here, made of rare stone is believed to possess healing qualities, especially for rheumatism. The 16th century poet Melppathur Narayana Bhattathiri, who suffered from rheumatic pain, is said to have sought relief from Guruvayoorappan, after which he composed Narayaneeyam, in praise of the Lord. An exquisite painting around the Sreekovil has depicting stories of the pranks of little Krishna stand testimony for the art of a period. The 111alldapam facing the Sreekovill is resplendent with beautiful carvings. Non Hindus are not allowed in Guruvayoor temple. This temple houses two adjacent shrines of Sankaranarayana and Shiva. Mammiyoor and Guruvayoor Sree Krishna temple are linked to each other in several aspects and it is therefore considered auspicious to worship them on the same day. The only temple in India dedicated to Lord Bharatha, brother of Sree Rama is the ancient and historic Koodalmanickam temple. Meenoottal, feeding of the fishes in the Kuleepini theertham, the temple pond is an important ritual here. The temple festival is held for all days in Medom (April-­May) from Utram to Thiruvollam asterisms. Chakyarkoothu is performed in the temple theatre during the festival. The annual festival of this temple dedicated to Goddess Kali, is one of the famous festivals of Central Kerala. Known as Uttralikkavu Pooram , the eight-day long festival has as its highlight, about twenty-one caparisoned tuskers. Festivities end with a colourful display of fireworks. A unique feature of this temple is the annual twelve-day Anyonnam, a scholarly debate on Vedas. Vedic scholars from all over Kerala participate in this. Sree Rama is worshipped in three forms here- in the morning as in vanavaasa (exile in forest), at noon as in sethu bandhana [in a roudra(angry) mood] and at night as the king of Ayodhya. This temple is famous for the Bharani festival .On bharani day, special nivedya (nectar) known as Variyarippayasamam is offered to Bhagavathy. This is performed by Adikals (priests). Early morning, the deity is ceremoniously taken out of the Sreekovil (sanctum sanctorum) and placed on a raised pedestal for public worship. 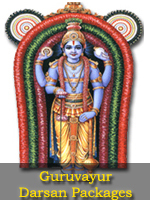 Simultaneously, the temple flag is hoisted signifying the victory of Bhagavathy over Darika (evil). After the bharani day, the temple doors remain closed for six days during which period, pooja is offered only once in a day. On the seventh day when the Sreekovil is opened, thousands have dharshan (vision) of Devi which is considered most auspicious. This is the first mosque in India. Legend says King Cheraman Peru mal of Kodungallor left for Mecca, embraced Islam, accepted the name Thajuddeen and married the sister of the then King of Jeddah. Before his death Thajuddeen handed over to the King of Jeddah several letters addressed to Kerala kings seeking their help to propagate Islam. The King came to Kerala and met the then King of Kodungalloor who helped the former convert Arathali temple into a Juma Masjid. This mosque was designed and constructed based on Hindu art and architecture. It was built in 629 AD and resembles a temple in appearance. This centre is famous for live-in retreats and conventions, through which evangelists and preachers share and proclaim the 'word of God'. The Ramakrishna Mission has a number of ashrams in the State, which serve as centers of meditation. These centers uphold the ideals of Vedanta as taught by Ramakrishna Paramahamsa and Swami Vivekananda. The first branch of the mission was set up in Haripad in 1912. The Thrissur ashram was set up in 1927. Jewish Synagogue, Mattancherry (14 km fro, Ernakulam) is the oldest synagogue in the Commonwealth and is famous for its Hebrew inscriptions on stone slabs, great scrolls of the Old Testament and ancient inscriptions on copper plates. St. Francis Church, Fort Kochi (12 km from Ernakulam) this is the first European church in India, which later became the model for building churches elsewhere in the country. Vasco da Gama, who died in Kochi during his second visit to Kerala, was buried in the church in 1524. Later his mortal remains were taken back to his native land. Portugal. St. George Church, Edappally (15 km from Ernakulam) This is one of the major pilgrim centres in Kerala venerated by non-Christians as well. Every day devotees throng the church to genuflect before the statue of St. George to express their gratitude for favors received through the saint. The annual festival begins on the 23rd of April with solemn High Mass and Litany. On May Day, the statue of St. George is taken out of its podium and placed on a specially decked chariot for procession. The festival ends with the High Mass on 4'h May. Is the birth place of Adi Sankaracharya, the great Advaita philosopher of the 8th century. Kaladi houses temples dedicated to Sree Sankara, Sarada Devi, Sri Krishna and Sri Ramakrishna. On the banks of River Periyar in Kaladi is the sacred bathing ghat where Sankaracharya is said to have been caught by a crocodile and which according to legends refused to release him until Sankara's mother Aryamba permitted him to accept Sanyas" (renunciation). Ramakrishna Advaitha Ashram, KaIadi (55 k from Ernakulam) This ashram was founded by Ramakrishna Mission in 1936. In 1976, a new type of shrine, Viswakshetra representing the styles of architecture associated with temples, churches and mosques was opened here for the followers of all religions. St. Mary's Church, Vallarpadam (45 minutes by boat from Ernakulam). The church was established in 1676 and the famous picture of the Blessed Virgin Mary was put up by Portuguese who brought it from their native land. The picture is believed to have miraculous powers. Vallarapadath Amma, as the St Mary of Vallarpadam is called, is believed to have miraculously saved many lives from violent storms. The feast of Vallarapadath Amma is held on Sept. 24. A big fair accompanies the weeklong celebration. This place is famous for the Catholic Church on the 609m high Malayatoor hill (dedicated to St. Thomas). Thousands of devotees undertake the pilgrimage to the shrine to participate in the annual festival-Malayatoor PtrllIl1/al (March/April). St. Thomas is believed to have visited here. Situated on the banks of River Periyar, the Shivalinga of this temple rises out of the sandbanks of the river and is believed to have worshipped by Lord Rama. During the monsoon season the whole region gets flooded and the idol gets submerged in water. Worship is then done in a small shrine on the upper banks of the river. A dip in this river at the brahmamuhurtha after observing the rituals of Shivarathri is considered very sacred. Onam, the festival of Kerala takes its origin from this temple, as thiruvonam is the avathara day of Lord Vamana, the presiding deity of this temple. The Goddess is revered in three forms - as Saraswathi in the morning, as Bhagavathy at noon and Durga in the evening. During the annual festival in kumbham , devotees especially women seek blessings from the Goddess. The feast of St. Dominic's Church falls on the third Sunday after the Easter. The statue of the saint is taken out in procession on that day. The feast of 'Our Lady of the Holy Rosary' also features a spectacular procession on the Sunday after 8th of December. The mausoleum of Sheikh Faridiin found here makes this place a famous Muslim pilgrim centre. Nearby is the scenic hill station of Kurathikallu and the beautiful Kottathavalam. Known as the Mookamoika of the South, this temple holds the Saraswathi Pooja every year in October/November. Children are initiated into the world of letters at the Vidyaramobham ceremony here. The church is one of the important pilgrim centers of the Christians in Kerala. The mortal remains of Sr. Alphonsa, who was pronounced as blessed, is kept in this church. The death anniversary of blessed Sr. Alphonsa that falls on the 20th of July is an important day. This ancient mosque on the banks of the Meenachil River is believed to be thousand years old. It is one of the important churches of the Syrian Jacobite Church of Kerala and is famous for the ettu noimbu festival, an eight-day retreat and fast in honour of St. Mary, starting on September 1. Holy Mass is offered on the feast days. The Perunal falls on September 8 and 9. The Valiapally (St. Mary's Church) of the Knanaya Orthodox Syrians built in 1550 AD is located at Thazhathangadi. The Persian Cross within the church has intricate inscriptions on it. Close to it is Cheriapally, built in 1579 AD. This church is famous for its mural paintings that depict biblical themes. The deity here is considered a celebrated exorcist of evil spirits. Exquisite mural paintings and sculptures adorn the temple. The central shrine is circular, with scenes from the Ramayana. Santhana Gopala Krishna Leela and Bhagavatham carved beautifully. The annual ten-day festival falls in February/March. This temple is famed for the Ezharaponnana , (literally seven and a half elephants, the half denoting a baby elephant) and a bunch of areca nuts - all made of gold. Shiva Temple, Vaikom(40 km from Kottayam town) Believed to have been built by Parasurama, the legendary creator of Kerala, this temple is famous for the 12 day Ashtami festival in November - December. Situated 8 km from Kottayam is Mannanam, an important Syrian Christian centre. It is also the site of St. Joseph's Monastery associated with Father Kuriakose (Chavara Achan), the first priest in Kerala to be conferred with sainthood. This is where hundreds of devotees from far and wide converge during the Holy Week and after, to climb the mala or hill in faith, carrying small wooden Kurlksu or crosses. On the eastern side of the hill is Muruganmala housing a rock cut temple dedicated to Murugan, son of Lord Shiva. This is the most significant site of snake worship in Kerala and houses 30.000 images of snake-gods. The shrine is under the patronage of a Namboodiri family whose oldest female member performs the role of the temple priestess. Legend has it that the first priestess of Mannarasala gave birth to a five-headed snake, which is believed to reside in the illam (ancestral house) to safeguard the family. On the day of Ayilliam asterism in the Malaya1.am months of Kanni and Thulam (September to November), all the serpent idols in the grove and the temple are taken in a procession to the illam where Nurum Palum (rice flour and milk) and Kuruthi (a red liquid made of turmeric and lime) offerings are made. At Mannarasala, barren women are believed to be blessed with children. One of the renowned Devi temples in Kerala, this temple is famous for the Bharani festival celebrated in February ­March. The highlights of this festival are Kuthiyottam and Kettukazhcha, of these, the former is performed as an offering to the Goddess. The man who makes the offering teaches an adolescent boy religious rites for seven days from Sivarathri day (in February) to Bharalli asterism, during which period the boy observes fast. On Bharani morning, the boy with his body coiled with silver wires is taken in a procession to the temple. Later in the afternoon, devotees place huge decorated effigies of chariots, horses, epic figures such as Bhima, Panchali and Hanuman, in the paddy field lying east of the temple. During the night, the image of Devi is carried in a procession to the effigies stationed in the paddy field. This is Kettukazhcha . These effigies are later taken to their respective kavus (place of worship of different families). This temple dedicated to Shiva and Parvathi, is known for the Thiruputha festival, when the goddess is believed to menstruate and the cloth with which the panchaloba idol is draped is found discolored with red spots. The Sreekovil is closed during this time and is re-opened only on the fourth day after pacificator rites. The Subramania (son of Lord Shiva) idol here, the biggest of its kind has been designed after the sculptural pattern of the Buddhist period. It is believed that the idol, which was obtained from a river, was worshipped by Lord Parasurama. Regatta at River Payippad is conducted commemorating the idol recovery. As many as three festivals are celebrated in this temple, of which the Chithira festival in Medom (April/­May) is the most important. The procession with the golden peacock throne is fascinating. In its architectural features, the Sree Krishna Temple conforms to the typical Kerala style. The temple is famous for Palpayasam milk porridge of exceptional sweetness offered to the deity. The deity here has been worshipped by great literary figures in Kerala's history like Melpatthur Narayana Bhattathirippad, Thunchath Ezhuthachan and Kalakath Kunchan Nambiar. It is also here that the Pallipana is performed by Velans (sorcerers) every twelve years. One of the most important pilgrim centers of the Christians in Kerala, this church was established by Portuguese half missionaries. The feast of St. Sebastian is held here every year during the second week of January. The Ettamperunal is celebrated on the 8th day after the main festival. A peculiar votive of the church is Urula nercha, an offering where devotees crawl on the ground from the church premise to the local beach. This temple, a sprawling complex with a magnificent seven storied tower houses the idol of Lord Vishnu in the form of Ananthapadmanaoha (the Lord who upheld creation on a lotus which sprang forth from His navel). The 6 m image, partly covered with gold and embellished with precious stones is viewed in three sections through three doors. Historical records show that in 1750, the Maharaja of Travancore on being victorious in a battle laid down his sword and, offered himself to this temple's deity. 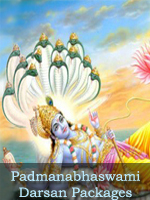 Since then, all his successors have ruled the land as Padmanabhadadasas (servants of Padmanabha). Arattu is an important festival here. Known as the Saoarimala of women, this temple is famous for Attukal Ponkala, the annual festival that commences on Bharani day in Kumbhom (February - March). The highlight of the festival is the Ponkala which is an all woman affair. Ponkala is an offering made in Bhagavathy temples, prepared in the form of payasam (sweet porridge) with ingredients like rice, jaggery, coconut kernel and plantain. Ponkala starts in the morning and ends with the melsanthi (chief priest) sprinkling holy water over the offerings. This is the only temple in Kerala dedicated to Sree Parasurama, the mythological creator of Kerala. This 2000­year-old temple is a venue for the Bali ritual for departed souls. An important pilgrim centre, this church is famous for the annual festival in November. High Mass, Vespers, a two­ hour long Holy Eucharistic procession and benediction are the highlights of the festival. Nativity feast of the Blessed Virgin Mary is also celebrated with religious spirit. Sivagiri Mutt in Varkala is the final resting- place of the great social reformer. Sree Narayana Guru. The Papanasham (redemption from sins) beach here is the place where Narada is believed to have thrown his valkalam. The 2000 year old Sree Janardhana Swamy temple here is famous for the Arattu, the annual festival celebrated in March-April. Sree Krishna Swamy Temple, Neyyattinkara(20 km from Thiruvananthapuram )This temple is historically important as the site housing the old Jackfruit tree that once gave refuge to King Marthandavarma, erstwhile ruler of Travancore. This temple is famous for the Thalappoli Mahoslavam which has a time-honoured custom of men dressed in female attires offering flowers to the deity. Parabrahma Temple, Ochira (54 km north of Kollam town) This pilgrim centre owes allegiance to the Advaitha philosophy in Hinduism. The presiding deity here is the Parabrahma or 'absolute reality'. Being an abstract concept that cannot be symbolized in an iconographic manner, there is no temple structure here. The Ochirakali in the month of, June is famous. This pilgrim centre has exquisite sculptures and mural paintings. Mandala pooja and Thrikalyanam celebrated in December are the main festivals here. This is the place where Mata Amritanandamayi or Amma was born. It is today the headquarters of her worldwide mission and the spiritual home of thousands of devotees. This is where Sree Chattampi Swamikal, a great social reformer of Modern Kerala attained Samadhi in 1924. The Bhattarakeswaram temple and ashram are dedicated to him. Dedicated to Lord Vishnu. This temple houses a tank supposed to be a natural one. Ladies are allowed entry to the sanctum sanctorum only on two days. Vishu and Thiruvathira. The annual festival. Uthraseeveli is celebrated on the Makayiram asterism in Meenam (March - April). A major attraction of this temple dedicated to Lord Krishna is the snake boat race held as part of the festival in August/September. A well-known pilgrim centre in the rugged terrain of the Western Ghats, this temple is dedicated to Lord Ayyappa. Sabarimala is surrounded by hazardous hills like Karimala and Neelimala. The devotees known as Ayyappas negotiate the hills to reach the shrine after undergoing 41 days of vrutham (self-imposed devotional penance). The pilgrimage season, viz.Mandala Pooja and, Makaravilakku comes between the latter half of November and the first half of January, every year. Ablution in River Pamba is considered as holy as a dip in the Ganga. The presence of Ayyappa's lieutenant Vavar makes this esteemed pilgrim centre a model of communal harmony and casteless ness. Vehicular traffic cannot go beyond Pamba and the last 5 km to the shrine can be reached only by trekking. Women aged between 12 and 50 are not allowed inside the shrine. As a holy town, Pandalam ranks second only to Sabarimala. Sree Ayyappa, the presiding deity of Sabarimala had his human sojourn here as the son of the Raja of Pandalam. The Valiyakozhikkal Temple on the banks of the River Achenkovil has been modeled on the Sabarimala shrine. Three days prior to the Makaravilakku festival in Sabarimala, the sacred ornaments of Sree Ayyappa are taken from here, in a procession to Sabarimala. Manjinikkara church derives its importance from the holy tomb of late Marlgnatius Elias III, the Holy Patriarch of Antioch. Members of the Jacobite Syrian Church believe that the Holy Father was a Saint. The Church has now become one of the foremost places of pilgrimage. A large number of pilgrims visit the church to receive spiritual and physical healing. This place hosts Asia's largest gathering of Christians, when in February every year, followers of the Mar Thoma wing and many others gather on the banks of River Pamba. This is one of the oldest churches in India, believed to have been established by St. Thomas during his missionary days in the State in AD 53. The Apostle of Jesus is believed to have erected a crucifix and built a church here. The main religious festival honoring Holy Mary is on August 15. The birthday of St. Mary is celebrated on 8th September. St. Thomas Day (July 3) is also celebrated with great zeal.